Hacienda with Expansive Lawns, Huge Rock Patio, Large Pool, Bar & Party Cabana! 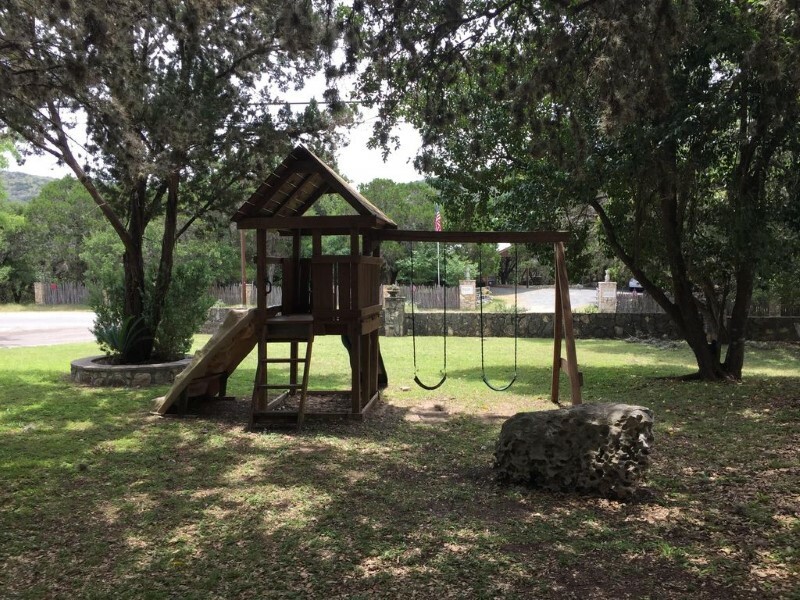 Casa Floerke was originally built and owned by the founding family of Concan, the Arthur family, who owned this special vacation home for many years. The Floerke family are only the second owners, love this estate and it shows! Surrounded by large, expansive lawns, huge rock patio, large pool, party Cabana and bar! For so many reasons this is one of the most popular vacation rentals in Concan. 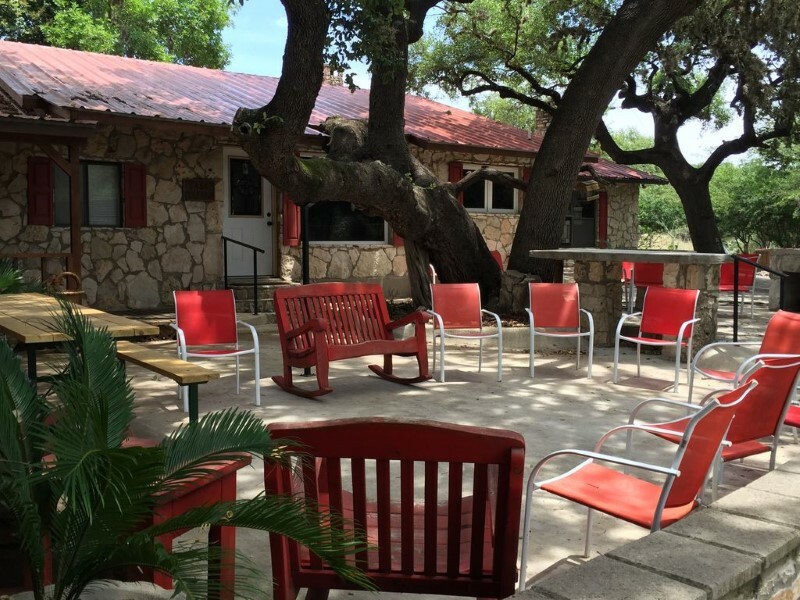 First the sprawling Hacienda sits back off River Road among the largest and oldest oak trees in Concan. There are many seating areas, some with wide covered porches and also huge rock patios to watch the wildlife and deer that bed down in the backyard. A fenced, crystal clear pool is set up for water polo, with a rustic poolside cabana that has a bar, sink, refrigerator and bathroom. There's also a basketball court for hoop lovers,, volleyball court, ring toss and horseshoes. There's a large, custom built river rock grill and smoker that holds up to 200 lbs of meat for barbecue fanatics! A below ground fire pit for nighttime s'mores, shade trees for daytime and huge parking for as many trucks, cars, tubes and trailers you bring. 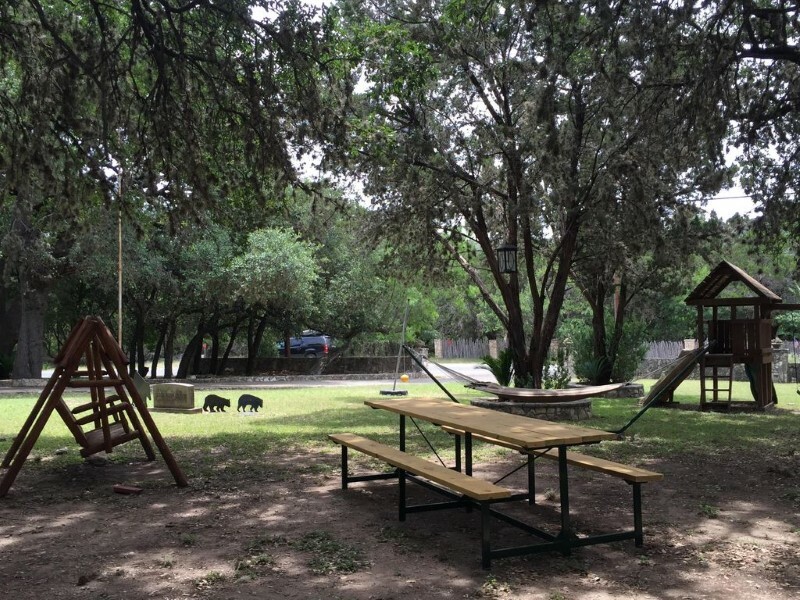 This estate sits directly across the street from the Frio River on River Road, so ask outfitter Andy's on the River to pick y'all up in their bus to float the Frio! There are two (2) large family rooms, one with a floor to ceiling rock fireplace and both have 42" HDTV's so everyone can watch their favorite TV shows. There is also a big sunroom with a wall of windows for quiet time and deer watching. A large, new kitchen has stainless appliances, double oven, lots of kitchen countertop and huge granite kitchen island, with plenty of bar stools. Lots of privacy with seven bedrooms and three family size bathrooms give everyone plenty of elbow room. There is a awesome fire pit for night time s'mores and room for everyone to sit around the fire telling stories. Super fun times await you in this beautiful, vacation home for a carefree vacation. Historic Casa Floerke is old school Concan at its finest! NEW TILE WITH RIVER ROCK SHOWER, SATILO TILE FLOORS AND EACH IS LARGE & SPACIOUS. PLENTY OF STORAGE. Great for large families that are looking for a house that everyone can be under one (1) roof. Huge oaks shade the expansive lawns. Plenty of outside activity: pool, pool polo, fire pit, fireplace, game table, gazebo, hammock, horseshoes, kids play zone, lawn chairs. 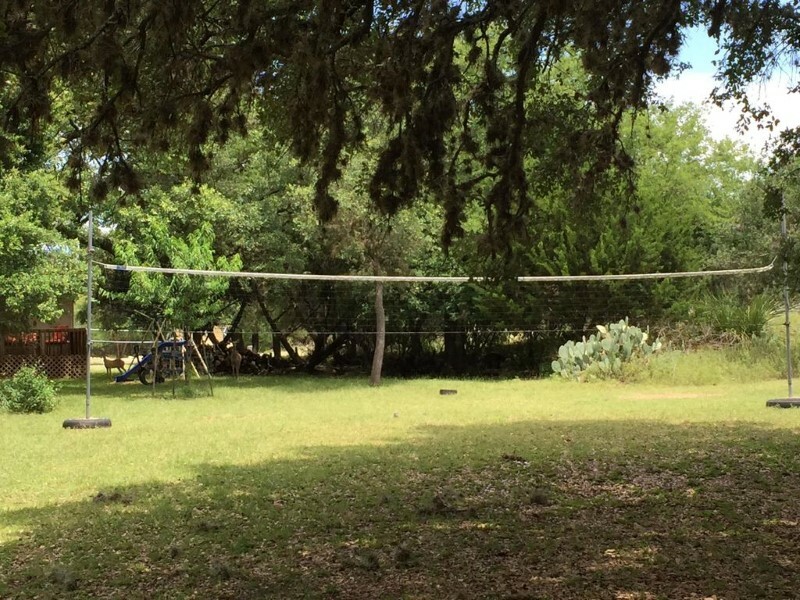 Outdoor bar, pavillion, many seating areas on rock patio's, volleyball, tetherball, washer toss, wildlife viewing, swing and wet bar. to work with and a wonderful house to stay in." Belinda R.